Let us help make yours perfect! In this day and age, more and more couples elope or have quick civil ceremonies (whether they announce them to the public or not) for tax, insurance, and any number of other reasons. We can accommodate your [perfectly legal] elopement to get you officially married, and then perform your "real" ceremony on your big day in front of your family and friends. Shhh...no one will ever know! It's your wedding day. Let's make it special and memorable together! How Religious are Your Ceremonies? 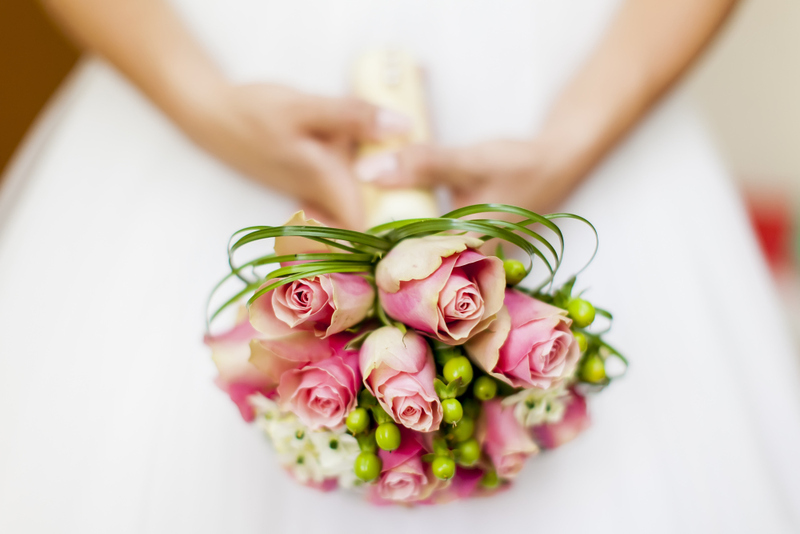 Many people want a religious wedding, but would prefer to be married at their reception venue. Oftentimes, their own faith leader will not perform the ceremony outside the house of worship. We also recognize that some people may not be regular worshippers at a church or temple, but still want to include their religious beliefs without the ceremony being "too religious." Reverend Gary can include as much or as little of your tradition as you wish. And then there are those couples who want no mention of God at all in their ceremonies. Or those who want their ceremony to have a spiritual aspect, without traditional religion involved. It's all up to you. We believe that God ordained the institution of marriage as a gift to humanity. We believe Holy Matrimony is an exclusive union between two people in which believers are called to love one another, encourage one another and serve one another. Holy Matrimony is more than a civil contract and establishes a covenant relationship that is united by God. We also believe that every person, being created in the image of God, must be afforded love, kindness, respect and dignity. "Marriage in the United States is a civil institution. As such, it belongs to all citizens, regardless of their particular moral beliefs or religious creed. That's why there is no requirement in law that marriage be approved by the church or any other religious community. The consent of two parties is all it takes to enter a marriage. Beyond licensing requirements, no approval of the state or of any other authoritative body is necessary. Religious officials -- whether priests, rabbis, ministers, imams, or others -- may preside at weddings, but in no sense do religious communities define what counts as marriage in the civil arena." A number of ceremony elements and traditions are listed below. Please ask about including them or adapting them to your ceremony. Reverend Gary is particularly adept at making each couple's ceremony unique to their personal love story. Once your ceremony's basic elements are planned, it's a matter of customizing the rest of the service to your wishes and desires. We can accommodate your family, cultural or religious traditions in many ways. Many religious ceremonies include a prayer given by the officiant. A friend or family member could also offer the prayer. This can be custom-worded or it can be a commonly-known prayer, such as the Our Father (Lord's Prayer). Poems, religious texts, literary passages, and/or song lyrics can be read by the officiant, members of the wedding party, or family and friends. Reverend Gary can provide a selection of sample readings or you can pick a favorite of your own. Similar to the Declaration of Intent, a charge has the officiant emphasize the seriousness of the marital contract to the couple. It is often punctuated by "I agree" or "I understand." 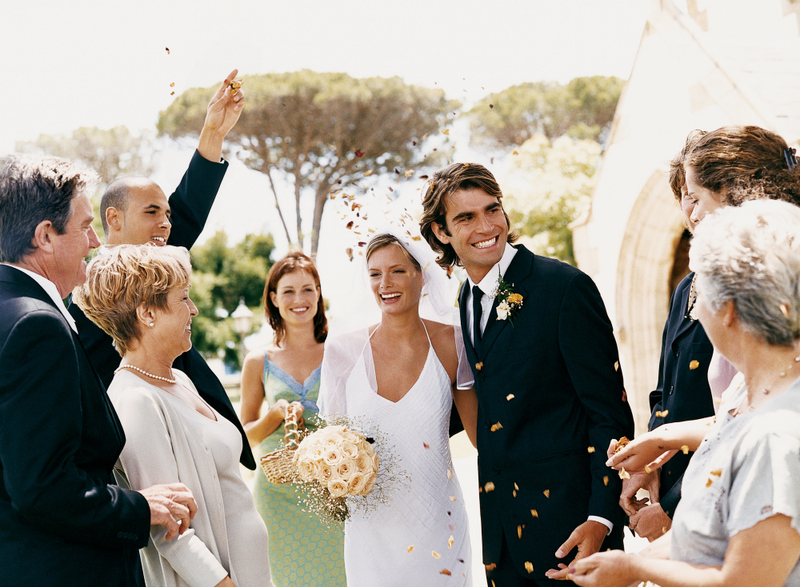 A blessing can be offered by the officiant or a member of the wedding party. Blessings can be religious or secular. Our most commonly requested blessings are the Blessing of the Hands, the Blessing of the Rings, and a final Nuptial Blessing. A sort of "time capsule" for the couple, in which they've exchanged letters expressing their love for one another, often sealed in a box with a special bottle of wine, to be opened and shared at some future date. 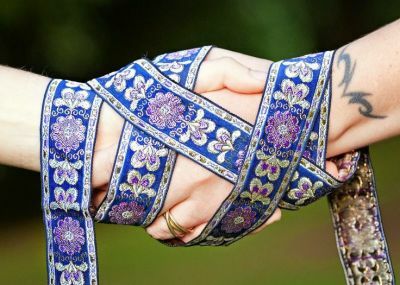 A number of spiritual ceremonies symbolizing the unity of the marriage (Celtic handfasting, lovers' knot, fisherman's knot) can be customized for your ceremony. 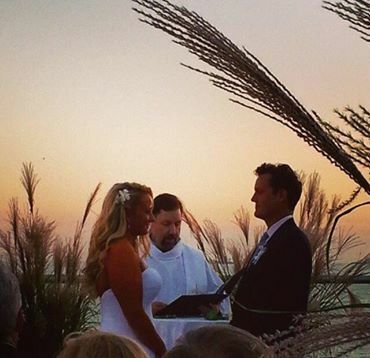 Several versions of the unity ceremony are adaptable to your wedding ceremony. 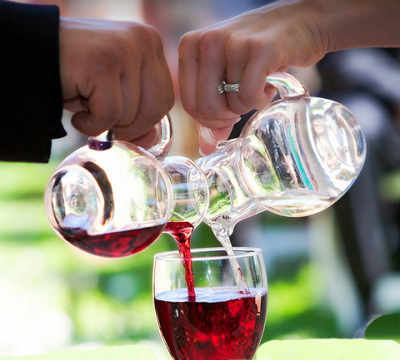 Unity candles, sand, or wine ceremonies can be used by couples or blended families to represent the unity created by the marriage. The couple exchanges roses with each other as their first gift to each other as a married couple, and/or gives roses to important people in their lives (parents, grandparents, other family members) as an expression of their love for them. 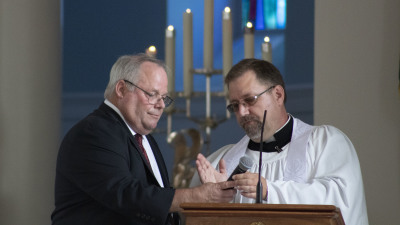 If you wish to have your friend or relative perform your ceremony, even if they got ordained online, in New York State you may need your license signed by a qualified officiant like Reverend Gary. A brief ceremony makes this perfectly legal. 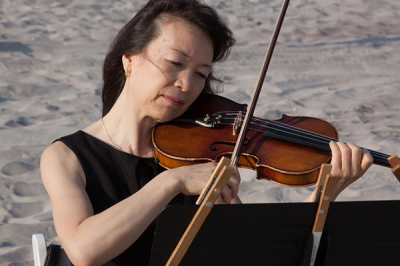 A soloist or a musical interlude can really make your ceremony stand out. A friend or family member can be a perfect person to ask, or Reverend Gary can recommend a professional musician. 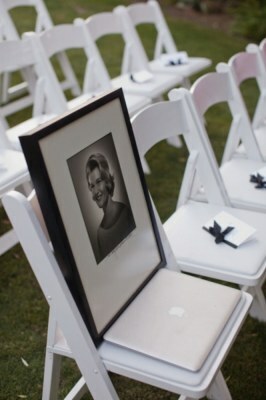 Taking a moment to "remember those who could not be here with us physically today, but who are here in spirit and wishing our couple a lifetime of happiness together" is a special way to include deceased loved ones in your wedding. 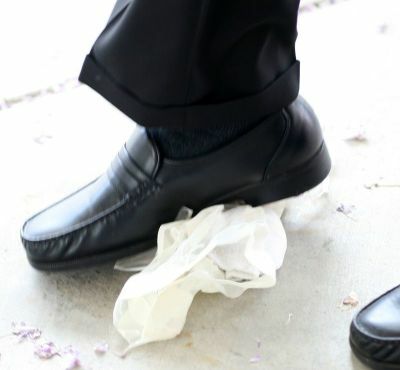 A Jewish tradition in which the groom breaks a glass (wrapped in a cloth) by stomping on it with his foot at the end of the ceremony.